Freshed up the stickers on the Vixen Super Polaris mount. First up was the precession infographic. 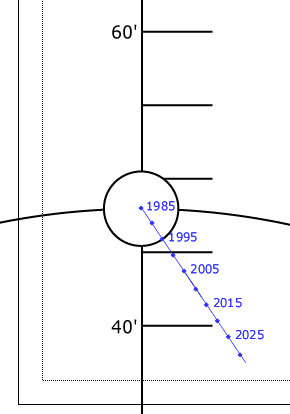 In fact, I first had to update the Adobe Illustrator diagram to extend the path from 2005. Added two more decades. Then I printed up the new Declination axis vernier scale—with Japanese this time! And finally I printed up the polar scope axis scale; the first one was lookin' rough. Ten years old, I guess.